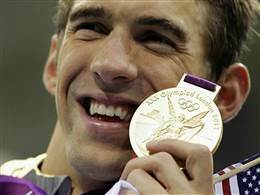 American swimmer Michael Phelps set the individual record for Olympic medals on this date at the London Olympics of 2012, with a gold medal in a freestyle relay. By the end of the London Games, Phelps had won 22 Olympic medals in all. On July 31st, 1936, the International Olympic Committee announced that Tokyo would host the summer games in 1940. By 1938, the Japanese government cancelled plans for the Olympics, because the country was at war with China. More than one-third of the 1981 major league baseball season in the U.S. was cancelled because of a strike by the players’ association over the free agent system. The strike was settled on July 31st, and the season resumed with the All-Star Game in Cleveland. Wesley Snipes played ball for the Cleveland Indians in the movie “Major League.” Snipes, born in 1962, shares a July 31st birthday with long-time baseball announcer Curt Gowdy (1919), and the inventor of the fictional sport Quidditch, “Harry Potter” author J.K. Rowling (1965). The last of the traditional Volkswagen Beetles came off an assembly line in Mexico on this date in 2003. The Beetle had been sold only in Mexico since 1998. Former Teamsters Union president Jimmy Hoffa disappeared on July 30th. 1975. Hoffa was declared legally dead seven years later. His car was abandoned in the parking lot of a restaurant outside Detroit. Henry Ford’s name is synonymous with Detroit, the car industry, and the assembly line. The founder of the Ford Motor Company was born July 30th, 1863. On July 29th, 1565, Mary, Queen of Scots married for the second time. Her new husband was Henry Stuart, Lord Darnley. The marriage lasted less than two years. There was an explosion in Henry’s bedroom, but some sources say he died of strangulation, not from the blast. Lady Diana Spencer became the Princess of Wales when she married Prince Charles on this date in 1981. Their marriage ended in divorce 15 years later. The TV comedy “How I Met Your Mother” centered around architect Ted Mosby’s search for a bride. Ted was played by Josh Radnor, born on July 29th, 1974. Radnor also starred in the Broadway version of “The Graduate” as Ben Braddock, who disrupts a wedding and runs off with the bride, his girlfriend Elaine. In the movie “Rumor Has It,” Jennifer Aniston’s character believes her family inspired the story for “The Graduate.” “Rumor Has It” was released in 2005, the year Aniston divorced Brad Pitt. They were married on this date in 2000. July 29th also is the birthday of a “McBride”: country singer Martina McBride (born 1966). Until the September 11th attacks of 2001, perhaps the most famous case of a plane crashing into a skyscraper was the accident at the Empire State Building on July 28th, 1945. A B-25 bomber headed to Newark slammed into the building at the 79th floor level on a foggy Saturday morning. The three men on the plane died, along with 11 people inside the building. A mining disaster in Pennsylvania was coming to a much happier end on this date in 2002. Nine coal miners were brought to the surface at the Quecreek mine, four days after they were trapped below ground by flooding. Many Americans spent Saturday night of that weekend watching live TV coverage of the efforts to rescue the miners. Georgette married Minneapolis TV anchorman Ted Baxter, whose boss was news director Lou Grant. 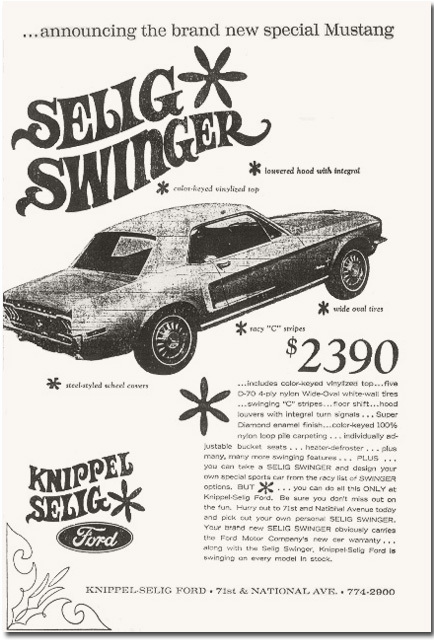 When the Lou Grant character got his own spinoff, he became a Los Angeles newspaper editor whose staff included reporter Billie Newman, played by Minneapolis native Linda Kelsey, born July 28th, 1946. The armistice ending the Korean War was signed on this date in 1953. South Korea eventually hosted the Summer Olympics at Seoul in 1988. The Summer Games then went to Barcelona in 1992, and Atlanta, Georgia…where a bombing occurred at the Olympic Village on July 27th, 1996. One person was killed by the blast, and more than 100 others were injured. Eric Rudolph pled guilty to the bombing years later, claiming he intended the attack as a protest against abortion. Olympic figure skater Peggy Fleming was born on July 27th, 1948. Fleming won the only gold medal for the U.S. at the 1968 Winter Olympics, and later appeared in TV specials that featured her performing on ice to popular songs. “A Song of Ice and Fire” is the series of fantasy books by George R.R. Martin which inspired the TV series “Game of Thrones.” Nikolaj Coster-Waldau, who plays Jaime Lannister on “Game of Thrones,” was born on this date in 1970. The first launch of a space shuttle since the Columbia disaster of 2003 happened on July 26th, 2005. It was the first time that the shuttle Discovery had flown in almost four years. The fourth manned landing on the moon occurred during the Apollo 15 mission, which launched on this date in 1971. Astronauts James Irwin and David Scott were the first ones to use a “moon rover” vehicle during this mission. The Oscar-winning song “Moon River” comes from the movie Breakfast at Tiffany’s, directed by Blake Edwards, born on July 26th, 1922. Also born on the same date that year was Jason Robards, one of four Academy Award winning actors or actresses who share this birthday. The others are Helen Mirren (1945), Kevin Spacey (1959), and Sandra Bullock (1964). Two English inventors, William Cooke and Charles Wheatstone, demonstrated their telegraph for the first time on July 25th, 1837. The two men communicated between rooms about a mile-and-a-half apart. 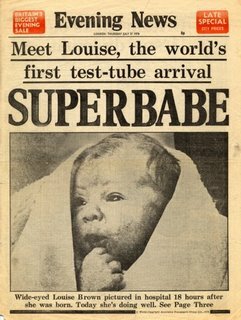 England claims the very first “test-tube baby.” Louise Brown, the first baby conceived through in-vitro fertilization, was born on this date in 1978. Thirty-five year old cosmonaut Svetlana Savitskaya became the first woman to walk in space on July 25th, 1984, outside the Salyut 7 space station. “Layyyyyy-deeee!” Did you know the comedy team of Dean Martin and Jerry Lewis performed together for the first time on July 24th and 25th in 1946 at a club in Atlantic City? Martin and Lewis also officially broke up on July 25th, 1956. Bob Dylan was a major folk music star when he performed at the Newport Folk Festival in Rhode Island on July 25th, 1965. The audience reportedly booed Dylan when he chose to play a few songs on electric guitar that night, violating the acoustic tradition of ’60s folk music. People who heard Dylan’s performance have disagreed on whether the audience was really upset about the playing of an electric guitar, or about the short time Dylan was given on stage, or whether there was much booing at all.